Kristen Harnisch drew upon her extensive research and her experiences living in San Francisco and visiting the Loire Valley and Paris to create the stories for her award-winning novel, The California Wife and her international bestselling debut novel, The Vintner's Daughter. Both novels are part of a series about the changing world of vineyard life at the turn of the twentieth century and a spirited heroine's fight to determine her own destiny. Kristen has served as a monthly guest blogger for the Writer's Digest Blog, The Writer's Dig and currently speaks on the business and craft of writing at conferences and writing retreats. On a personal note, Kristen is also chef, chauffeur, laundress, nurse, shrink, shopper, and maid to three children and loves vanilla skim lattes, dark chocolate, and inspirational stories. Prior to her life as a mother and writer, Kristen earned her B.S. in economics from Villanova University's School of Business worked as a Relationship Manager at JPMorgan Chase in New York and San Francisco and as the Director of Retail Sales for Citizens Bank in Boston. 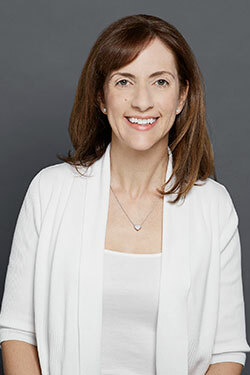 Kristen currently resides in Connecticut with her incredibly supportive husband and three children. She loves to hear from her readers. To receive regular updates on her writing, subscribe to her quarterly newsletter.